Minnie's uncle is having a hard time after being a soldier in the U.S. - Iraq war, and Minnie is having a hard time being new at her school. Her new friend, Amira, wears a head scarf, and Minnie wonders about it, especially since kids say mean things to Amira because of it. 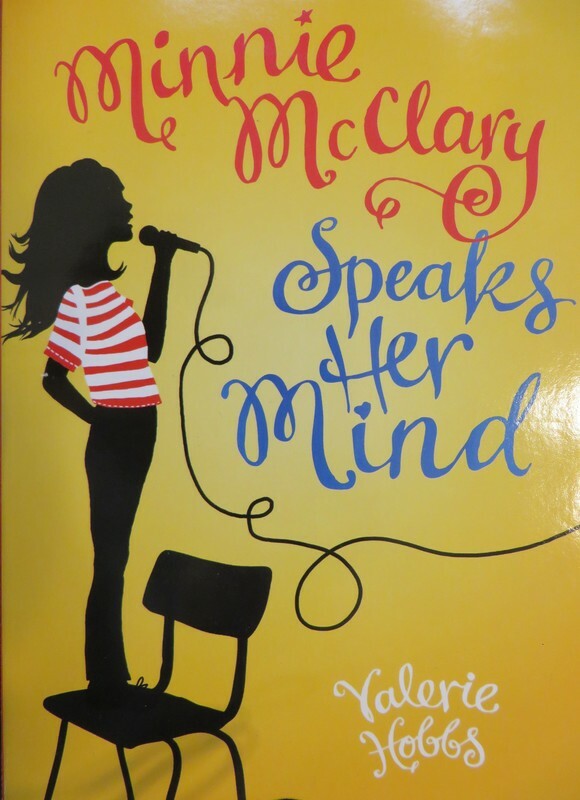 When her teacher, Miss Marks, shocks some parents with her casual dress and with some of her assignments, Minnie isn't sure if she should speak up or go with the flow. I'm not fond of the title or the main character's name, as I don't think they represent the best parts of this story, and both sound a lot more old-fashioned than this plot. This is not a book that students regularly pull off my class bookshelf, but it's a worthwhile story. It's nice to read about characters who inspire us with their courage, and that's this book's other problem - the main character struggles with courage, like many of us. As inspirational as a super hero can be, it's also pretty important to examine occasions when we stand up and speak out, even if it causes some backlash. While it does have a clearly defined message and point of view against intolerance and hate, it generally holds the line before it becomes preachy. Many readers will root for this character, and it's a book students can read and absorb independently. This story raises some valuable discussion questions and is worth a look.